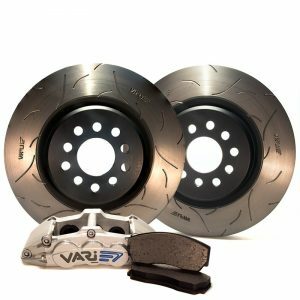 Vari - VARI FR (Full Race) Brake Kit engineered for (16" to 18" Race wheel) packages. 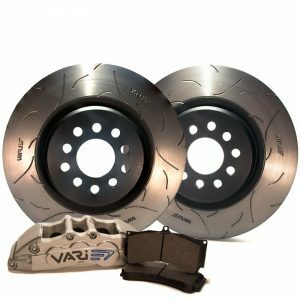 Full Calliper + Rotor kits Good for Serious Track use by either Dedicated High Horse Power race cars or EXTREME HP street car in the HEAVY to MEDIUM weight range . 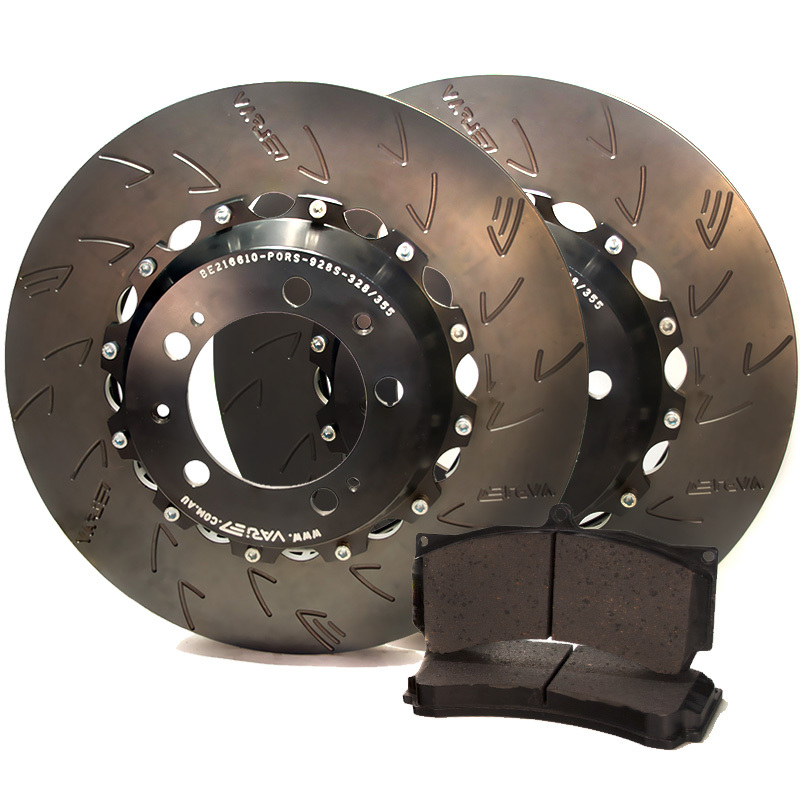 These kits are built around either our 618 Slim Line ( 6 piston / 18″ wheel) or our all out race proven 617 Full Race ( 6 piston/ 17 inch wheel ) Calipers. 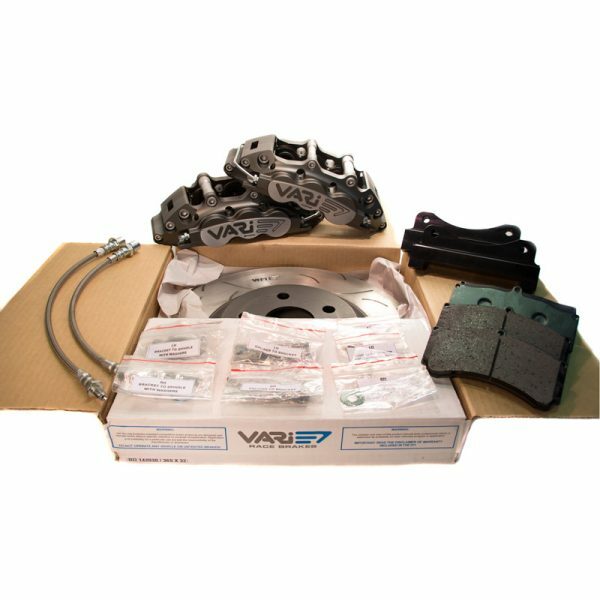 Complete the contact form below and we will have someone contact you to discuss the available options in this range and availability. 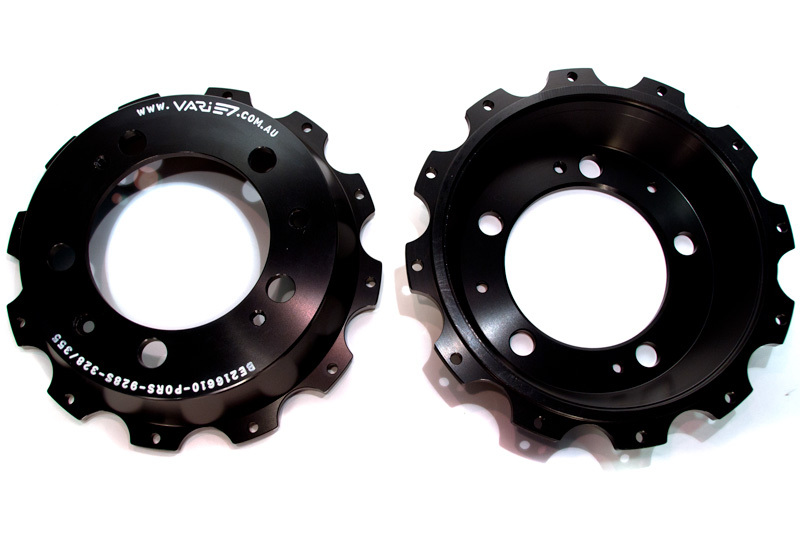 Both our 618 SL and 617 FR families of calipers are fully in house CNC machined from 6061/T6 billet and are highly rigid , LARGE sized pad , calipers. The 618 SL calipers original design criteria was aimed at the advantages provided by a highly rigid and SLIM LINE caliper design originally aimed at covering NARROW offset OEM style Wheel designs of the 17″/18″/19″ wheels often used by the OEM s on their top of the line Performance packages , though these calipers are now able to stretch to street orientated packages that make use of 375mm rotors for which larger wheels may be needed. 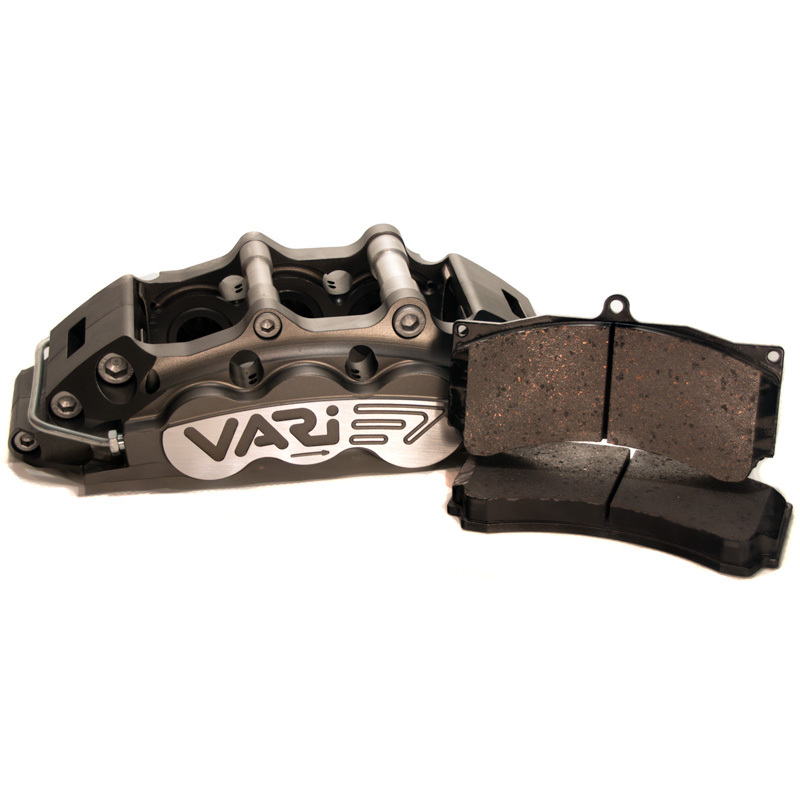 The 617 FR (Full Race) range of callipers with extensive lightning and cooling features, gives up the advantage of the slim line advantage of our alternative range of calipers in exchange for an uncompromisingly rigidity and Super Stable distribution of clamping force on the Pad ,as well as even more aggressive race oriented machined finish while managing to retain the all too critical internal dust seal design required for compliance with road going eligibility . 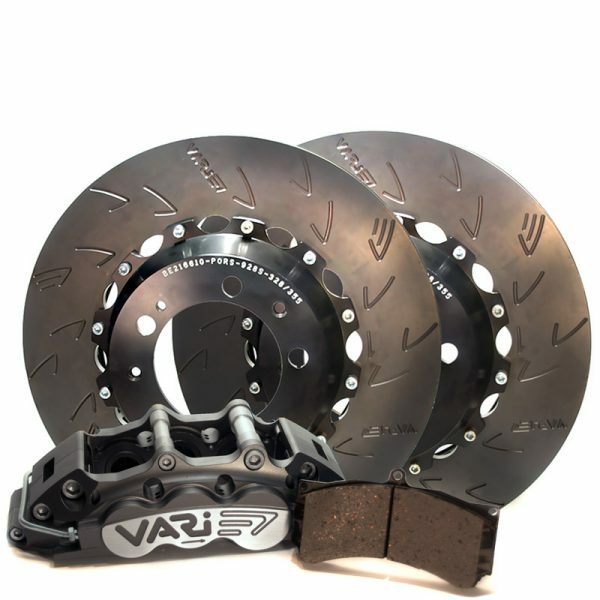 Ideal candidates for these kits are HEAVY to MEDIUM weight vehicles with track type levels of HP all the way up to 1000 HP which are outright Track attack type vehicles with ether conservative 17″ inch wheel packages, for use with affordable track tires or 20″ plus high performance street tires that are expected to perform large amounts of stops from well over 180 km/h ,practically endless amounts of stops from down right illegal highway speeds and especially give excellent peddle feel after 20 plus laps of your favorite all out race track on any given track or race day which u plan to not only attend but downright blast your way through. 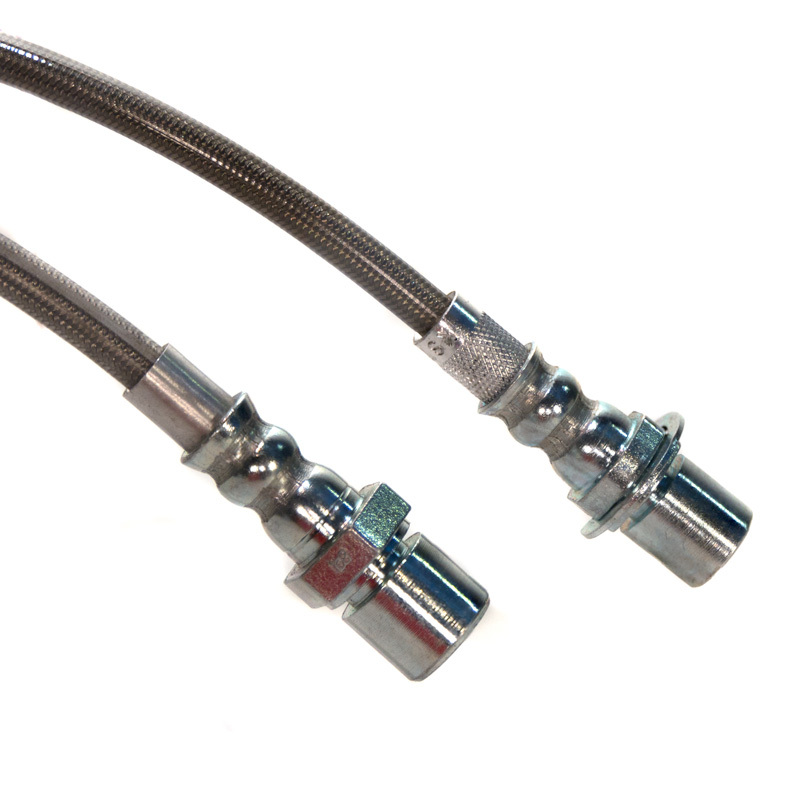 2 x Replacement Brake lines ( supplied in ADR approved SS Braided Hose material ).